Wooded River drapes and valances can be custom ordered different ways: with 3" tabs, with a 3" rod pocket and a 1 1/2" header, with 1 1/2" grommet top, or with soft pinch pleat. Draperies are sold by the panel. Each standard panel is 52"W to 60" H x 84"H, or you can custom order a size. Standard valance sizes are 54"W x 15"H, or you can custom order a size. 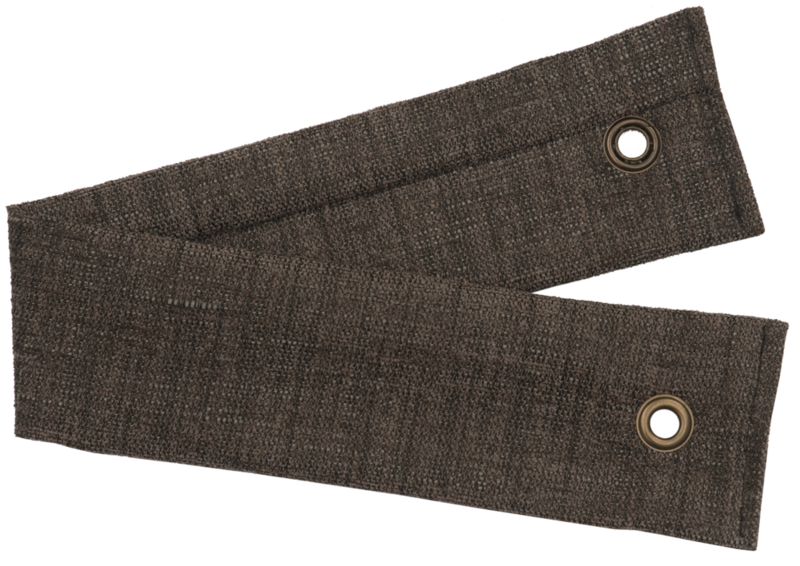 All our drapery tie backs are 3" x 20" and come in standard 3/8" grommet closures. Velcro is available for an upcharge. See the different options below. Please note: Because of the large variety we offer, all drapes and valances are custom items and cannot be returned. Any drapery not shown on the web site is considered custom. *Rings not included with Soft Pinch Pleat drapery.